Build a sense of discovery, attention span and auditory awareness with the Bells Play Music Panel. 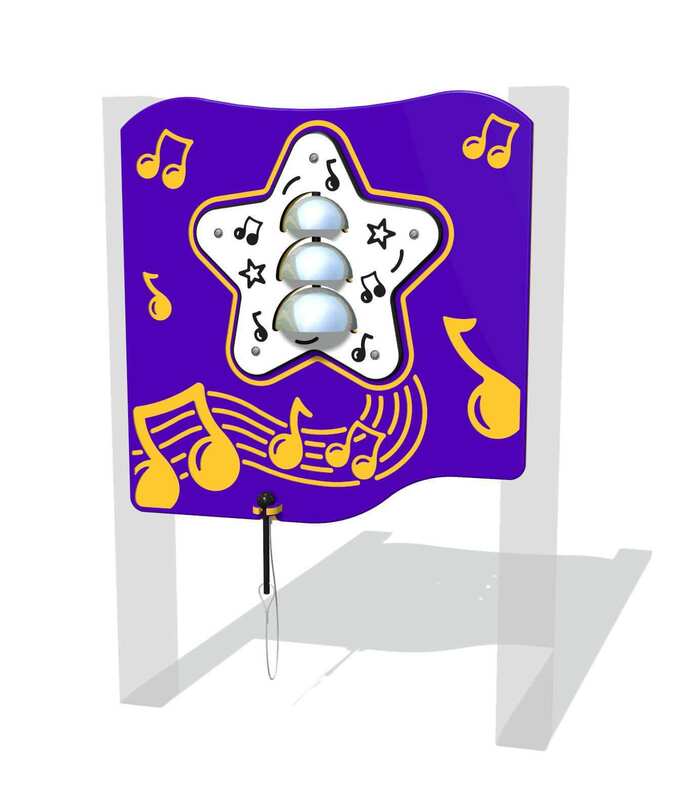 This panel features 3 stainless steel bells, a beater with stainless steel cord and a HDPE musical note frame in your choice of color combinations. Designed for use in controlled environments.